Translated by Dr. A. Wolf from the Dutch [version of the author’s Tractatus de Deo et homine] and edited and with an introduction by Dagobert D. Runes.Spinoza is today considered the Philosopher of Modern Times, as Aristotle was the Philosopher of Antiquity. In spite of which, he remains the best known and least read of the great thinkers. The Book of God, one of his earliest works, came to light only a hundred years ago in two slightly varying Dutch manuscripts. Its youthful author lived in turbulent times, when the Western world was torn by civil and religious strife, and bullies, bigots and pseudo-prophets vied for the ear of a fearful people. 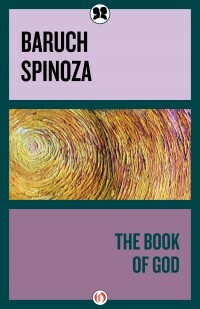 While Europe was in an uproar over the right church, Spinoza was seeking the right God. This book is the first known report of his findings. Appearing like a draft for his later Ethics, it is a Guide for the Bewildered. Those who see in philosophy no more than an intellectual exercise will have no difficulty dismissing it. But those imbued with the longing for a better and freer life will find here a most rewarding fountain of faith.